Companies are making investments for effective digital engagement with their customers, and rank digital products, solutions and business processes near the top of their priority lists. With agility and simplification top of mind for businesses today, is your company ready to compete? Rudolf Hois, Chief Product Owner for SAP S/4HANA On Premise SAP SE, shared five insights on how digitization can change business during a recent strategy talk at SAP TechEd in Barcelona. Legacy systems simply can’t keep up with the pace of business. For Hois, significantly increasing the “digital backbone” of a business can help companies get an accurate view of data that’s important to them, which could help them move into new business segments, such as personalization for the lot size of one. When processes are working off the same data, companies can innovate business models, processes and technologies much faster. SAP S/4HANA has the functionality to connect every part of a company’s business, so the need to use disparate systems to pull data becomes obsolete for many scenarios. The best part? Everyone can access the same data, from the same system, without discrepancies or the need for reconciliation. Employee workload priorities can significantly change. 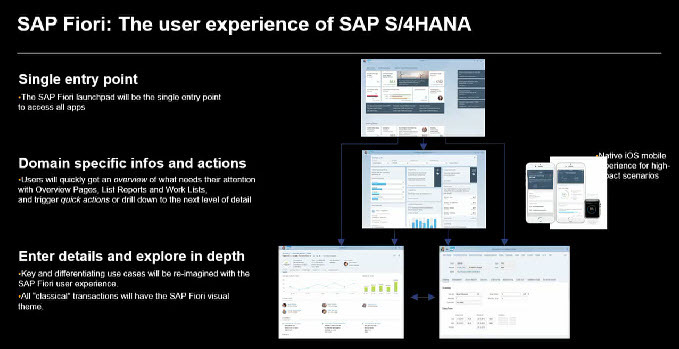 With SAP Fiori, there’s a simple entry point for users managing the business with SAP S/4HANA. Employees can get an overview of what needs their attention immediately and combine transaction and data analysis with easy and efficient navigation. And with pattern recognition and machine learning scenarios folded into the functionality, users will get recommendations on what they need to work on. Employee daily to-do lists can change significantly with SAP S/4HANA. “Workloads will actually change,” he said. With the huge amount of data businesses yield, companies have to reinvent what their ERP can do for them. 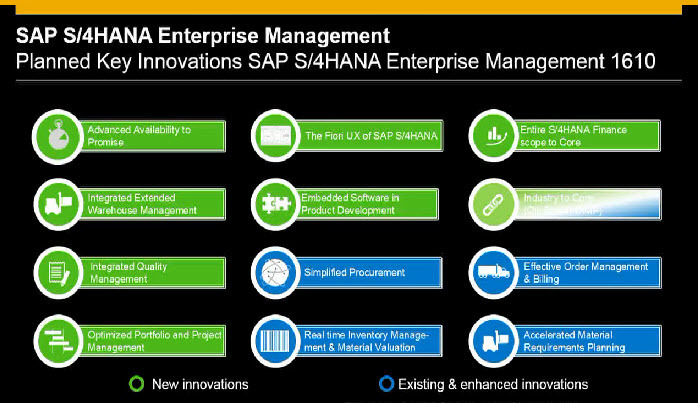 Most existing ERPs can convert to SAP S/4HANA 1610 that was just released. Companies will be better able to automate transactions, see real-time data (e.g. inventory) and have a deeper understanding on how things are getting executed. Cloud and on-premise solutions can work seamlessly in the digital strategy of any company. With SAP S/4HANA Value Assurance packages, businesses can find scenarios on what they can expect in a variety of implementation scenarios.